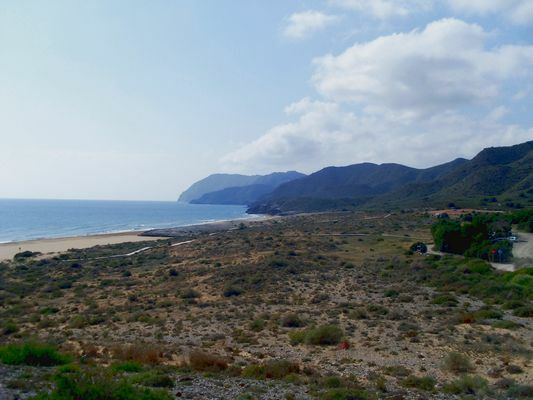 Calblanque – SAT NAV – N37 36.331 W 0 43.723. 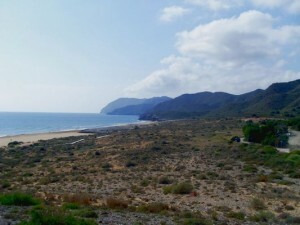 This is the area of the south coast below La Manga Golf Club, with a ‘wild’ beach and an old saltworks. Excellent for migrants. A big cliff up on the right has a pair of Bonelli’s Eagles, and Ravens are about too. You can see almost anything here. Beware of car-theft! Los Alcazares South (old airstrip and coastline) – SAT NAV N37.42.838 W0.51.477 This is a big, desolate area of ‘set-aside’ land just north of the village of that name. Always worth a look, it holds Lesser Short-toed Lark, is good in winter for a variety of larks and finches, as well as harriers. You may well find something else there! 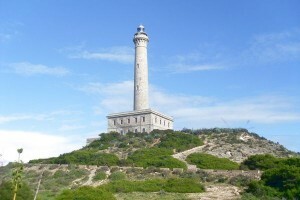 Cabo de Palos (Mar de Cristal Salinas) – SAT NAV – N37 38.282 W0 43.206 A small saltworks just outside Cabo de Palos, reached from a complicated junction off the dual carriageway: Very good for Audouin’s & Slender-billed Gulls, as well as waders. 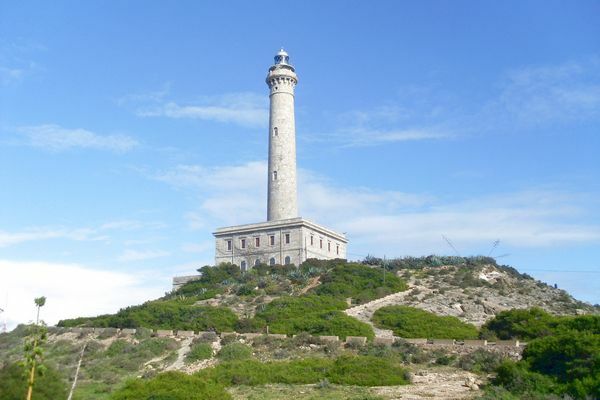 Cabo de Palos Lighthouse- SAT NAV – N37 38.039 W0 41.501 Can be a good spot for sea-watching in the right weather and the bushes below the lighthouse hold many small birds.